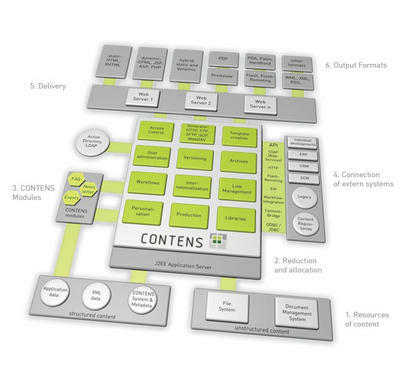 For those organizations that cant afford to staff Information Architects, content strategy might be a new topic or something they know about and want to do but are not sure how to approach. My Getting Started blog summarizes the topic. Information Architecture is a unique skill set very different from typical IT skills of infrastructure and applications. For those dealing with EDRM systems FilePlans touch on Information Architecture but isn’t comprehensive in the sense of a multipurpose tool set such as SharePoint. Team Sites aside, organizations should be thinking about adoption, consolidation, usability, simplification to name a few. To truly get the value of Microsoft’s collaboration suite (SharePoint, Lync, LiveMeeting, Exchange) organizations must design, implement and sustain an Information Architecture for the tool sets. The tool sets must become the place to go to network, discover, work, socialize, find and communicate – employees can get their job done fast and easily. Creating the pull requires motivation and incentives because ultimately your influencing culture. Specifically, your changing peoples behavior by introducing a new way to work through the adoption of tool sets and policy. In our study, task-based structures often endured better than intranets organized departmentally. In our user testing of intranets, we’ve also found that task-based navigation tends to facilitate ease-of-learning. Thus, the benefits for IA durability are just one more argument in favor of adopting a task-based structure for your intranet. Core to content strategy is information (Organizational change management is a key enabler but wont be covered in this blog). Information that enables the intended user community to get their jobs done. The information is very domain specific, not generalized. Specifically, Each domain (accounting, sales, engineering, marketing etc.) has applications, documents and other information they use to complete job tasks. The format, organization and availability of the information is key to success. Most importantly, the information architect resides in the business and not IT – IT doesn’t have the job acumen and facilitation skills. Obtain the strategy from executives that states direction and how success will be measured. Develop an elevator pitch and materials for your project, people will ask why your doing this, the value to them of participating etc. It will help to have some executive insight as well as front line worker insight so your message is compelling at multiple levels. Identify the key users such as accounting, sales etc. and domain SMEs for each. For example, reviewing strategy will help identify key areas where value is expected to be a result. Conduct working sessions with SMEs to model their workday, who they work with, information they consume and produce, work environments and map job activities (This is a design/requirements technique called Goal Basis Tasks Analysis). Also, sources of current information, issues and wish lists and any materials that help justify wish list item. For example, what activities do they conduct in the morning (Schedule day, contact clients)? What information do they consume and produce for each activity (print client contact list, update sales forecast, enter product orders)? Where are they working from (airport, home, car, clients office)? Use library science techniques to organize the data but use caution – don’t fall into the trap of analysis paralysis. For example, how should the information be organized? Are their industry standards available (In the Energy sector they use the Total Loss Management model)? What terms do they use to find information when asking for/search for (Think Dublin Core as a starting point)? Once you have your content strategy socialize it with the key stakeholders, build a mockup using static HTML or use PowerPoint or Illustrator. Assemble a plan for a program that will build and sustain a community of SMEs that will maintain and improve the content strategy and information architecture. You might be thinking, this is a lot of work! Yes it is, but its valuable work and fun if you enjoy a challenge. Many companies skip this exercise and pay for it later in the form of costly consulting projects to fix problems and bad optics associated with failed projects.